China's one-child rule is unassailably one of the most controversial social policies of all time. In the first book of its kind, Susan Greenhalgh draws on twenty years of research into China's population politics to explain how the leaders of a nation of one billion decided to limit all couples to one child. Focusing on the historic period 1978-80, when China was just reentering the global capitalist system after decades of self-imposed isolation, Greenhalgh documents the extraordinary manner in which a handful of leading aerospace engineers hijacked the population policymaking process and formulated a strategy that treated people like missiles. 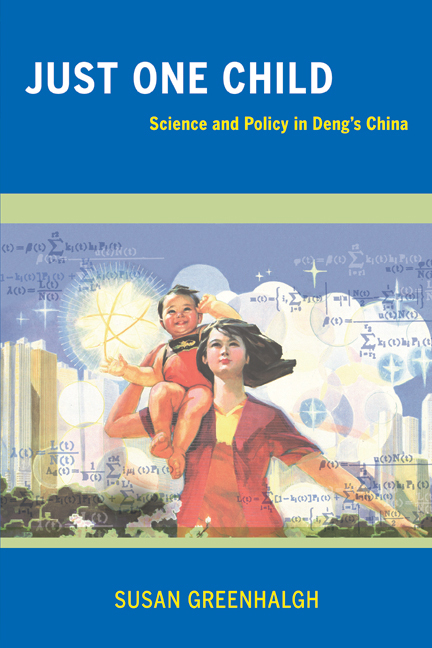 Just One Child situates these science- and policymaking practices in their broader contexts—the scientization and statisticalization of sociopolitical life—and provides the most detailed and incisive account yet of the origins of the one-child policy. Susan Greenhalgh is Professor of Anthropology at the University of California, Irvine. She is the coauthor of Governing China's Population: From Leninist to Neoliberal Biopolitics and the author of Under the Medical Gaze: Facts and Fictions of Chronic Pain (UC Press).